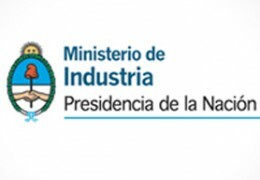 Dr Cayetano Nino Rota is the current President of the Chamber of Commerce, Industry and Production (CCIAI) of Argentina. Dr Rota has worked for CCIAI for 25 years and throughout his lengthy career he has strived to foster good business practices and community involvement, contribute to the quality of life and help to create diverse cultural and entrepreneurial opportunities for all Argentineans. Dr Rota’s efforts in promoting the CCIAI’s goals also earned the Chamber Special Consultative Status from the United Nations in 1996. He also developed structured academic lessons for professors and teachers around the world who work in the fields of industry and development. It was because of his lesson plans and knowledge of the industry that today, CACIPRA, also operates as an education centre, offering education careers in tourism, international trade, customs administration and technical development.